If you've been a long-time reader, you'd already know of my undying love for Japanese food. However, unbeknownst to many, Italian cuisine is also one of my comfort foods. Pasta, pizza, panizza, gelato -- name it, I probably love it! So a few weeks ago, after a session at Luminisce Holistic Skin Innovations, my friend Kenny and I decided to check out this Italian restaurant when we were looking for a nice place to have late lunch at in SM Aura. 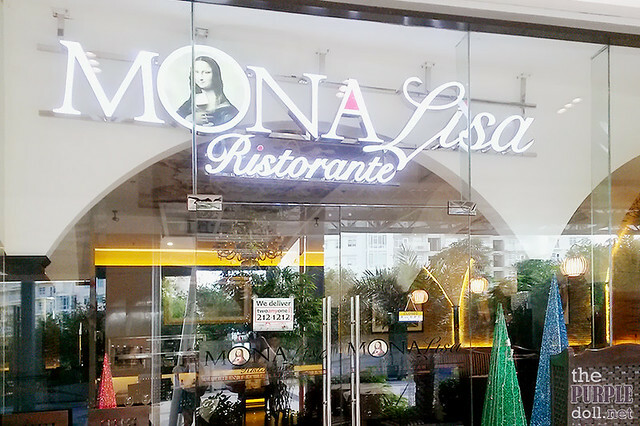 Luckily, there's now a Mona Lisa Ristorante at SM Aura! It's located at the 5th floor Sky Park, where most restaurants of the mall are. And while the place doesn't look too fancy outside, I still dig the décor. It's pretty simple yet classy at the same time, with timeless artworks hung on the walls, and a beautiful mural painting on the ceiling. Our visit was a little untimely though as their kitchen closes for lunch service by 3PM, and we went in just a few minutes before their cut-off. However, it was nice that they still accommodated us. It's a good thing too that there's another table aside from us. My friend Kenny and I are both into healthy eating, and it was quite funny how we ended up at an Italian restaurant where carbs fly all around. But upon checking Mona Lisa Ristorante's menu, we were really happy and impressed that they cater to healthy-eating diners too. They have a small section that reads Specials!!! Healthy Pizza for Athletes. 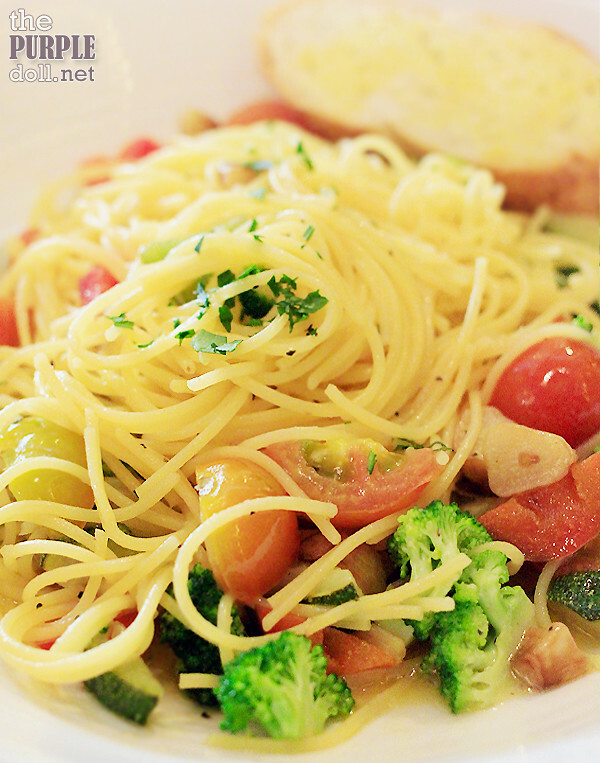 They even offer whole grain and glutten-free options for some of their pasta dishes! Aside from the pizza, we just had to have a pasta dish too. And to stick with our light and healthy eating theme, we ordered this simple dry semolina spaghettini dish with roasted garlic, porcini mushrooms and sautéed zucchini, broccoli, bell peppers and tomatoes in olive oil and white wine sauce. To make our pasta even healthier, we opted to make the spaghettini glutten-free. But while I expected the texture to be a little different, I was surprised how the pasta still felt like the usual glutten-loaded pasta. Which was actually a good thing. Cooked al dente, this is a really nice vegetarian pasta dish I'd be happy to order again, although I feel like the bell pepper notes was a little too overpowering. I know anything with sugar isn't exactly healthy, but we just had to have something for dessert. 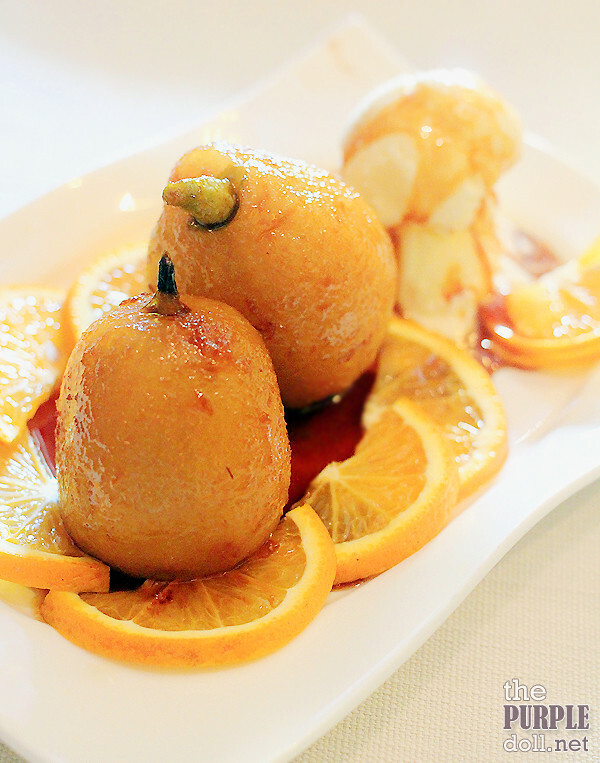 So upon checking which among their dolci selection is the lesser evil, we decided to go with this serving of pears poached in brown sugar, and possibly red wine, with earthy spices and orange peel, that also comes with a scoop of vanilla gelato on the side. I've loved poached pears upon tasting it at Gaucho Cocina Y Vinos Argentinos for the first time. And I fell in love with this dessert yet again! Soft but with a firm-to-the-bite texture, sweet but not cloying, and with hints of citrus-y orange. Eaten as it is, or paired with the smooth and creamy gelato, every bite is heaven! Mona Lisa Ristorante has been one of the places in the south I've always wanted to visit, and I'm glad I finally did, even if it was at their SM Aura branch. Although I can't say yet if Mona Lisa Ristorante is indeed a good restaurant to get one's Italian grub from, I can happily recommend it to those craving for Italian food but wants something lighter and healthier. Prices are generally reasonable, although portion sizes may not suffice especially for hefty eaters. 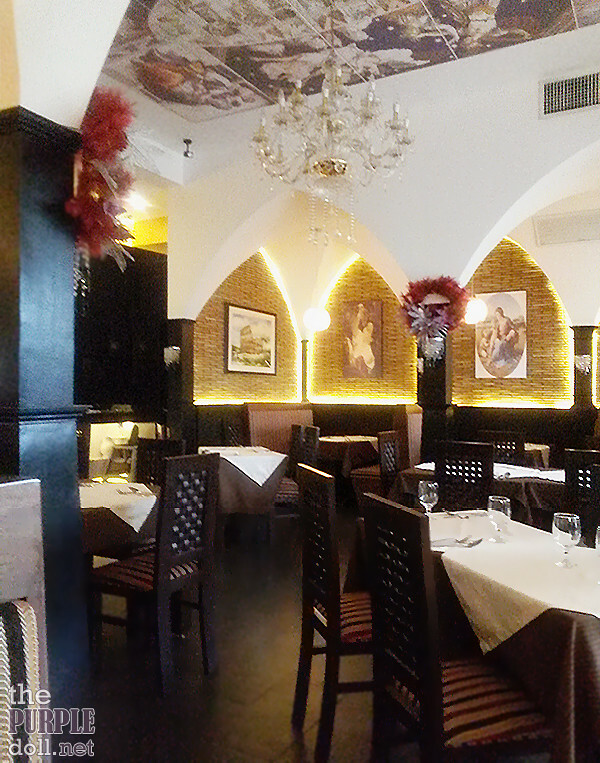 Nevertheless, my first taste of Mona Lisa Ristorante will definitely not be the last. Next time I visit, I'll make sure not to bring dietary restrictions with me. Tee-hee! love the place and the food wow! I'm just wondering how big is the Smoked Salmon Pizza? How many people can share? or just 2?